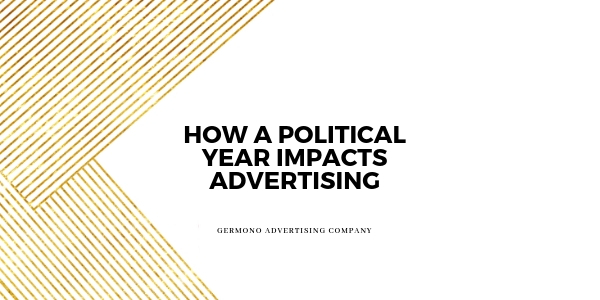 This year causes a lot of headaches with advertisers because it is a HUGE year for political. Per our friends at WAVY, an estimated $30 million is projected to be spent in the Norfolk market in 2016. How this affects you: if placing paid advertising, you may experience pre-emptions or getting bumped out of your time slot because a candidate has paid more to be in that slot (even if previously negotiated…the candidates trump this and no pun intended there). Station reps and advertising agencies have no control over this-so having a “plan B” conversation now will help ease the headaches. If you are not placing traditional media, consider the environment of social media during this time. What you can do now: Have a conversation with your marketing team to come up with strategies to increase your brand and your message. You can get personal, creative, share stories, basically anything that will stand out. You can use social media and digital to your advantage as you tend to not experience the same issues with clearing advertisements in digital as you would have when trying to clear traditional advertising. Have a conversation with your team about political views the company wants to omit…have this conversation now to eliminate any negative PR you may encounter. Lastly, and most importantly- consider the mindset of your audience. Will they be overwhelmed with these political advertisements? Or will they be “all-in”? Put yourself in their shoes and speak to them about your product or service. If you have any questions, feel free to give me a call and I can help you and your team with your strategy.